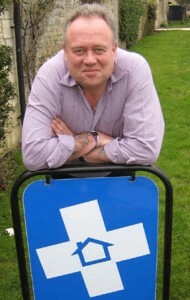 Mike Edwards From DIY Doctor is pledging the kettle challenge – to only boil the water he needs. Simple, but effective as he likes his coffee! DIY Doctor, Be Energy Smart and Green Reviews have teamed up to make a difference for Climate Week. It is an initiative that inspires us all to make a difference to the climate by making changes in our lives, these changes can be a simple as avoiding using carrier bags, or as energetic as cycling to work. The idea is that you pick the things you can fit easily into your life, in the hope that these ideas will stick with you throughout the year and then inspire you to make more green changes. Climate Week runs from the 4th – 10th March 2013. Why not go to the website and set up your profile, you can then pledge donations – which are in actions rather than money. It is all going on at the DoNation website. Go to the page set up by Be Energy Smart to make a pledge – BeEnergySmart: The Great Green Climate Challenge. You will see the pledges already collected, and the ones we have pledged to do. Click on the ‘do something’ button and you will be given a list of choices. Filling up your kettle only as much as you need to – and get that cuppa quicker! Cycling to work – get healthier and save carbon! Smart Drive – accelerating and braking smoothly to save fuel. Sharing things with neighbours and friends – a great pledge for DIY enthusiasts! You are bound to find something that suits you, maybe something you keep meaning to do, or something so simple you hadn’t even thought about it before. If you want to be more ambitious you can make up your own challenge – let your imagination run wild! Be Energy Smart, DIY Doctor and Green Reviews have teamed up to offer you a great green giveaway. If you make Climate Week pledges, we will enter you into a draw to win a fantastic Roberts SolarDAB radio. All you have to do is pledge to do something to reduce your carbon footprint between now and the 10th March. The winner will be able to listen to high-quality music in truly sustainable style, with the world’s first solar powered DAB radio. Each pledge you make gives you another chance to win, so pick as many as you can! Members of DIY Doctor, Green Reviews and Be Energy Smart teams will be make their own pledges too. They will be using their blogs and Twitter to keep you updated with how they are doing, throughout the week. The competition will close at midnight on the 10th March, and we’ll be notifying the winner on the following day. Good luck!